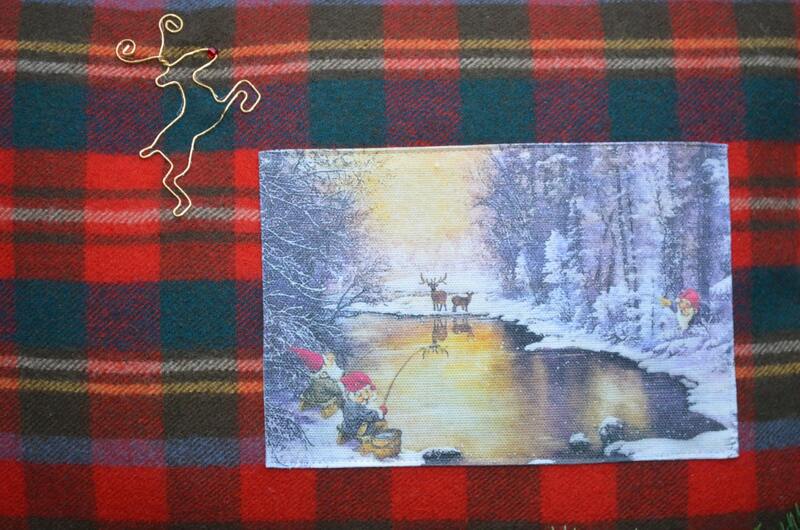 A lovely winter scene pillow with a postcard image of gnomes fishing. The pillow is made of 100% wool and is double sided. 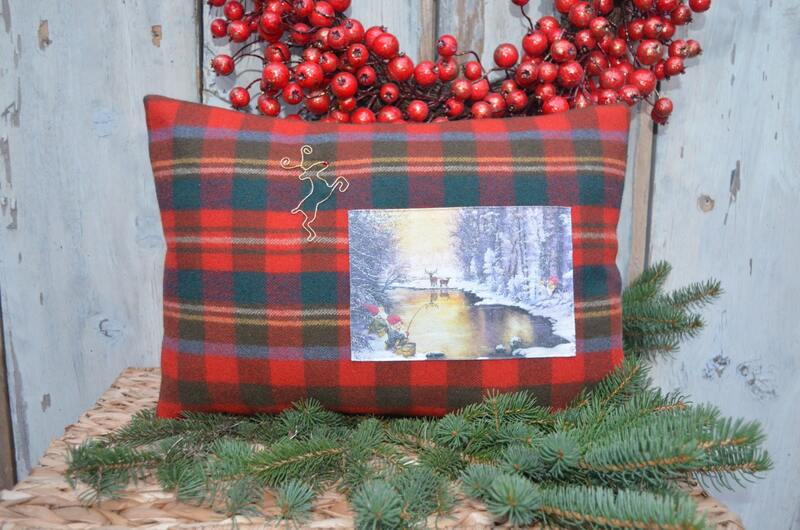 We embellished the pillow with a little wire reindeer for fun! It closes at the bottom with a zipper. The pillow includes a 50/50 feather/polyester insert. It measures 16 inches long by 11 inches high.